SoftMaker Office TextMaker can convert a Microsoft Word document (DOC, DOCX and RTF) into an Adobe PDF file with notes, annotations and comments from the document reviewer. 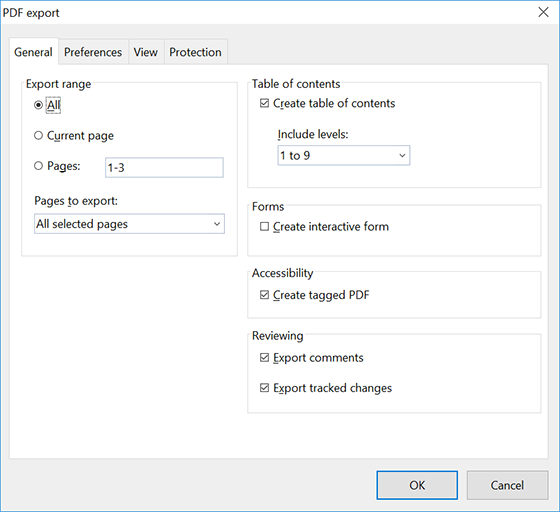 The native PDF export function allows you to specify if you want to export the comments and tracked changes or not. Navigate to where you want the comment to appear. Type the comment and then click outside of the comment bubble to save. Now click File then the PDF export button on the toolbar. Verify the checkmarks on Export comments and Export tracked changes option in Reviewing section. Click OK to begin conversion. Change the file name and location as you see fit. Learn more and download free trial of SoftMaker Office here.